Here at Cherokee, the Lady Chiefs (2-3) squared off against the Overbrook Rams (1-2) on a day that had the teams not only battling each other but also a fierce gale force winds as well. Cherokee notched their third straight victory on this windy Wednesday with a hard fought 4-1 win. Overbrook took advantage of two wind aided throwing errors to find themselves with runners on first and second with two outs in the first inning. Nicole Lecuyer singled to center in front of the charging Nikki Melchiorre. The fleet Cherokee centerfielder scooped up the ball and rifled the ball to home to nail Kim Levering at the plate. Cherokee carried this momentum into the bottom of the inning. Melchiorre led off with a single and Kirsteen Wyche drew a walk. After a sacrifice, MariEllen Singley smacked a single down the third base line scoring two. Lee Carson then buckled down for Overbrook to strike out the side. The second inning saw Singley strike out the side for the Chiefs. Overbrook then found themselves with a case of the dropsies. After a bobbling error, Kristie Fletcher reached on base on a throwing error. The ball bounced to center and Loren Arnsberg tried to score. Centerfielder Levering boomed a missile to home to nail the Cherokee runner. 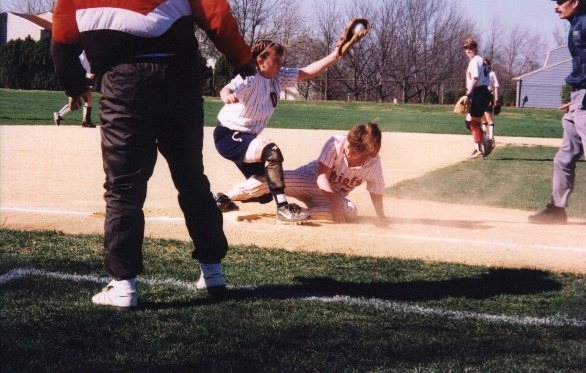 The final out was made when Kim Birmingham pegged Arnsberg out at third on an attempted steal. 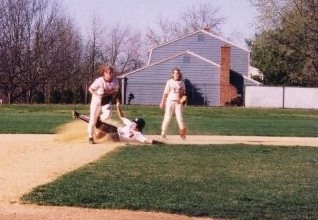 This was the first of three runners caught stealing on the cannon-armed Rams catcher. 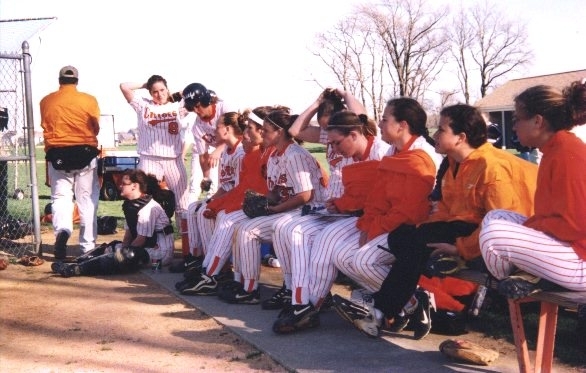 In the third inning, Overbrook threatened to score with leadoff singles by Dee Werner and Nicole Hughes, but Cherokee buckled down to get the next three outs in a row. Cherokee notched another run in the inning. Wyche singled, then Kelly Rose bashed a ball that took off like a homerun ball. The tricky winds had other plans. The ball got caught up, then started back towards the infield like it was some gag ball from Gilligan's Island. 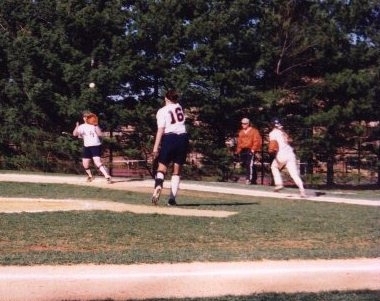 Lori Miller reached on an error that scored the Cherokee run. Overbrook got that run back in the top of the fourth. Lecuyer battled a long at bat for a walk. Jen Foster then ripped a double down the first base line that went out of play. 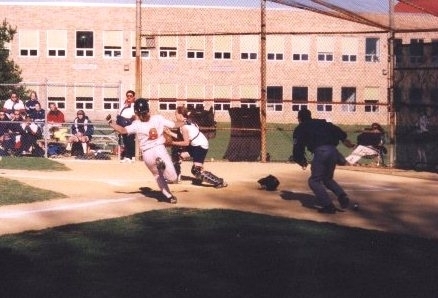 The hit fortunately for Cherokee was ruled a ground rule double which held the runners on second and third. A nicely operated sacrifice scored the run for the Rams. A scoreless fifth and top of the sixth followed. Cherokee added an important run in the bottom of the sixth. 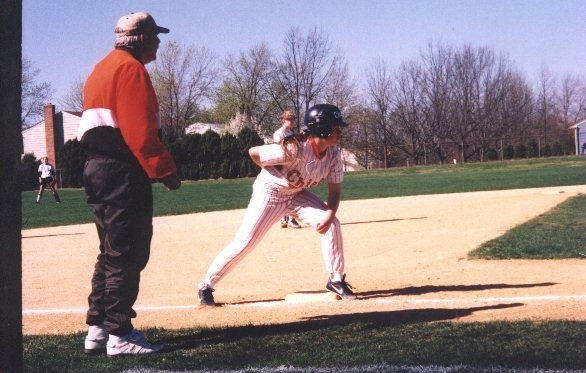 After Maggie Moorley reached on base with a single, Stephanie Wilkerson ripped the ball to right with a precision of Pete Rose. A hustling Moorley just crossed the plate as the throw from right came in. There was no more scoring and the game ended 4-1 in Cherokee's favor. When asked about his team's third straight victory, Cherokee coach Mike Medrick mentioned, "Our pitching has been much sharper and the defense has been playing with more confidence. The girls are playing one play at a time and are not trying to do too much. Like I said, you can't hit a 5 run homer."